We will work in oil on cotton paper, 12x16. All levels welcome - from pro to first time. Below is how to get to the Theater. 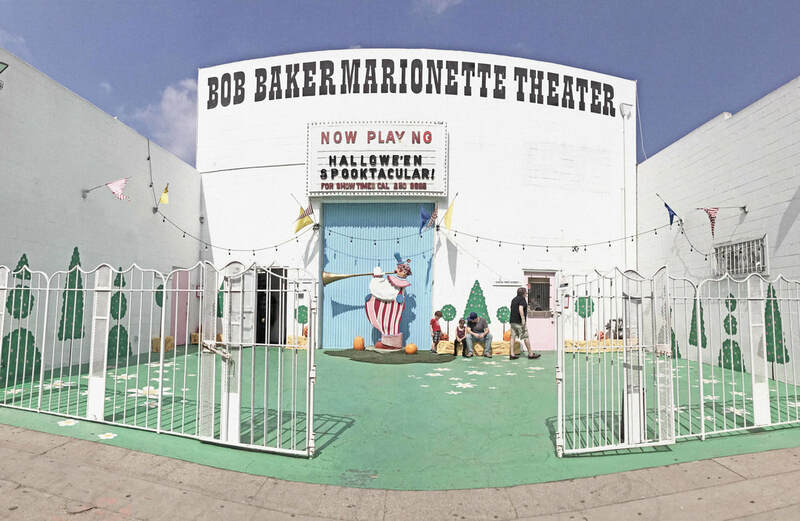 The Bob Baker Marionette Theater is located at 1345 W 1st St, Los Angeles. 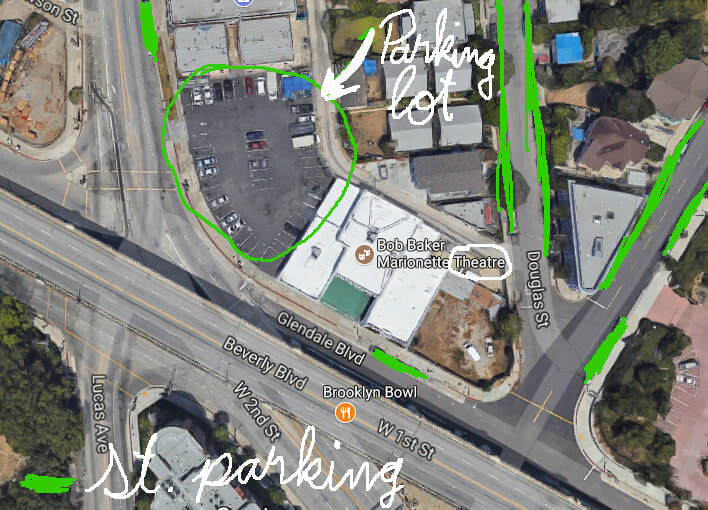 There is street parking along Glendale Blvd and N Toluca St., and Douglas St. There is a large parking lot next to the Theater, on Glendale Blvd (not owned or operated by the Theater). 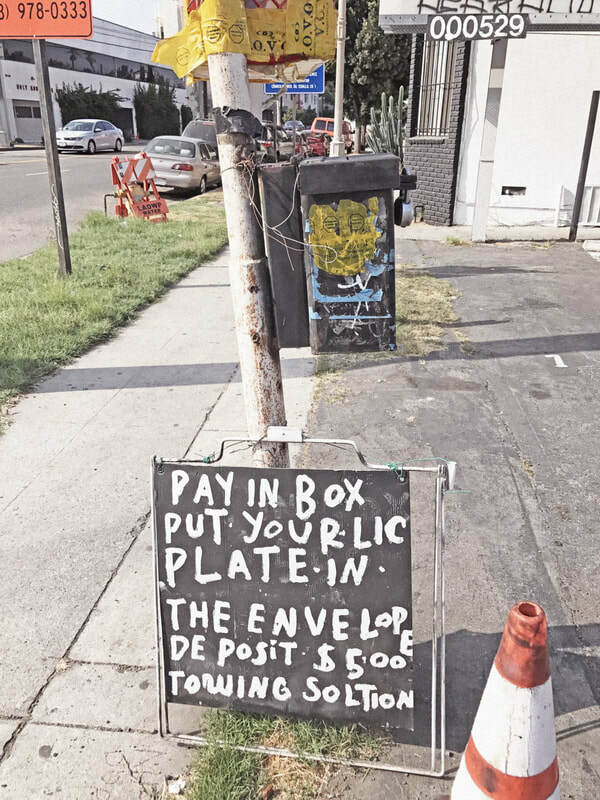 The parking lot is operated very 'rooflessly': you need to bring $5 inside an envelope and write your car's model and license plate on the envelope before you drop it inside the lot's mailbox. View of the parking lot adjacent to the theater. 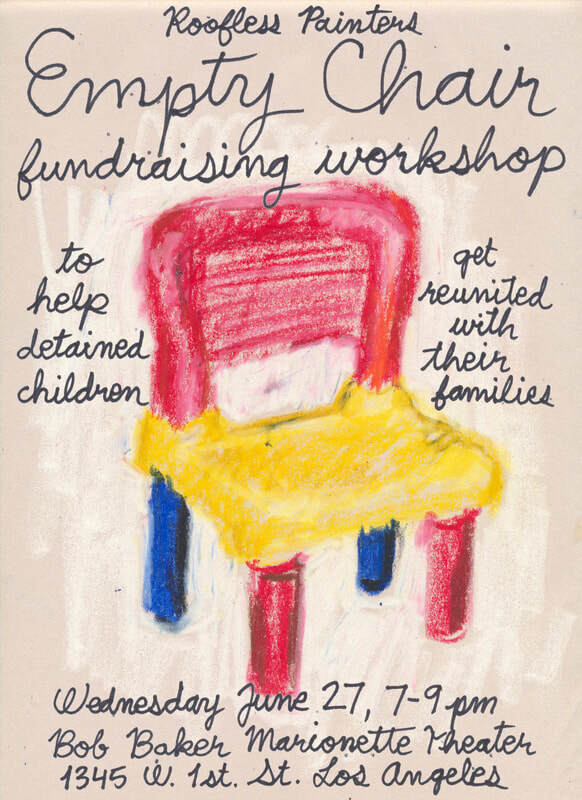 We will be hosting the workshop in the Party Room. 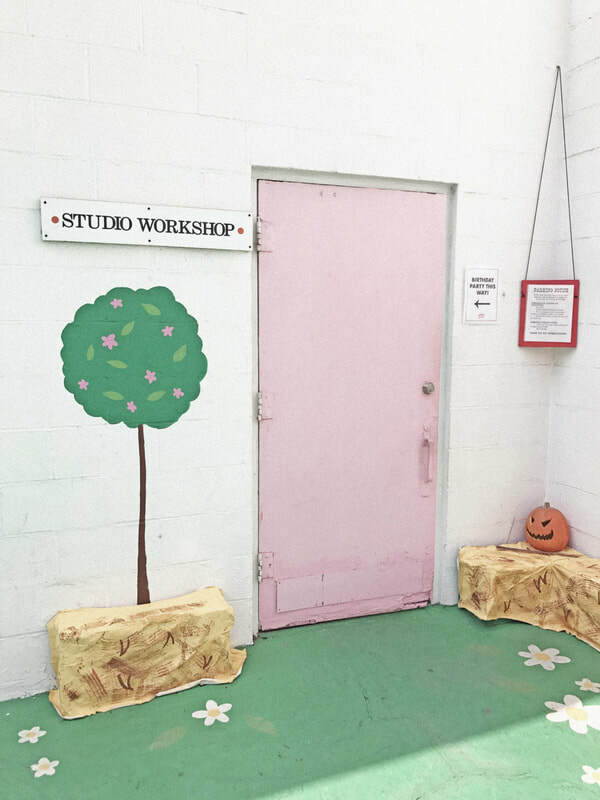 Entrance to the room is through the Studio Workshop door. 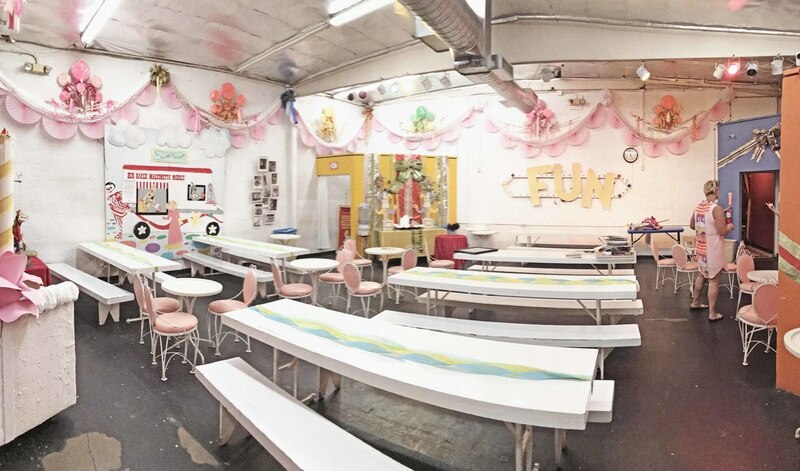 We will be hosting the art classes in the Theater's party room. Your beautiful self and a bag full of longings for painting . We take care of everything else. We're roofless and that means we show up somewhere and paint. We recommend you to wear clothes you don't mind getting paint on. It will happen. 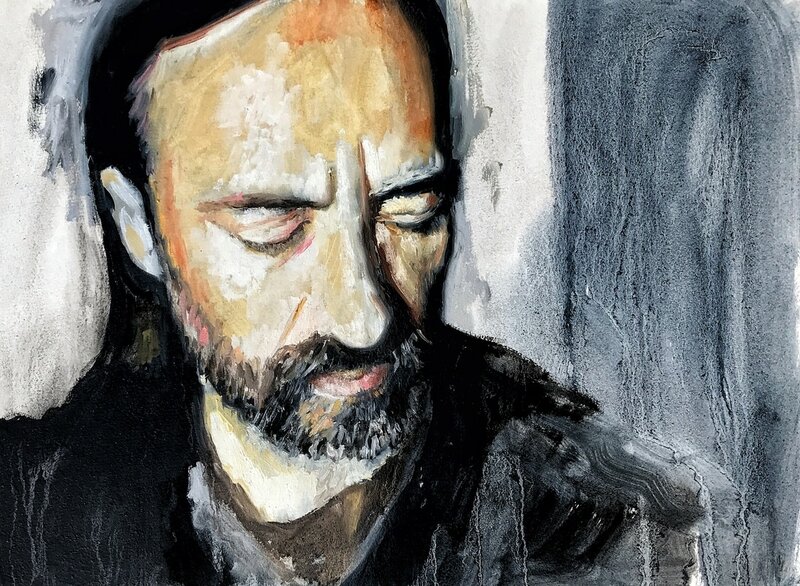 If you already have a painting practice going, bring your beloved paintbrushes. 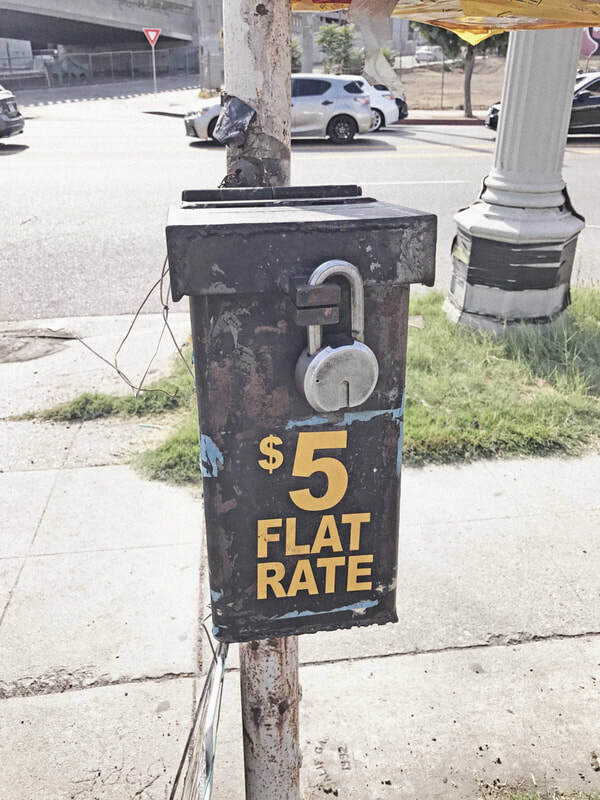 We know the feeling. What are Roofless classes like? We give lots of instruction, not just feedback, on technical elements but also about the creative process so you can take down those blocks that affect our creative confidence and pick up new supportive habits. We model the whole painting process so you can get visual examples of what we're talking about and apply them to your own work. 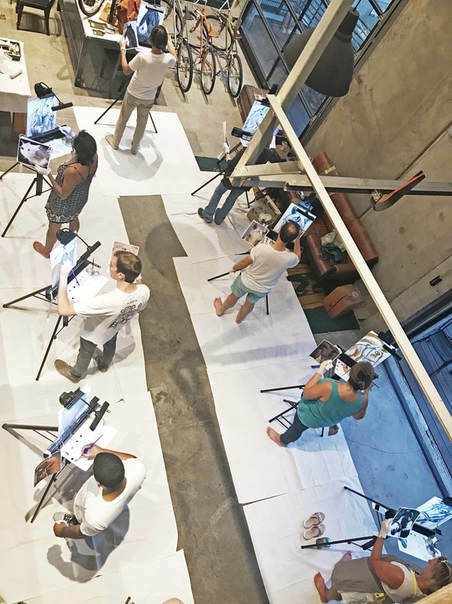 We challenge you to paint things through your own visual experience. You have a painting style and we already love it. We want you to do more with it through our lessons. We're a community. We provide a relaxed, safe, nonjudgmental, supportive and requirement-free environment. We love recommending local art shows and museum exhibits to awaken and widen our sense of perception.